Juniper Berry Essential Oil, organic, 5 ml. Juniper berry is invigorating and stimulates circulation. It relieves liver congestion and open the pores of the skin to promote detoxification. Internally, it relieves indigestion and fermentation due to long transit time through the small and large intestines. 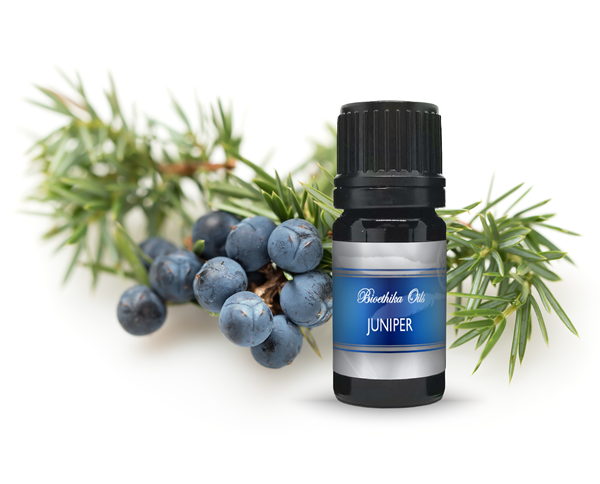 Emotionally, juniper is thought to ease worry, especially that stemming from the fear of failure. It blends well with fennel, frankincense, lavender, lemon, lemongrass, and rosemary. Contents: steam distilled therapeutic grade essential oil of wildcrafted Juniperus communis.